RACE AGAIN, AGAIN & AGAIN. *Valid for events from Jan 1 to Dec 31 of race pass year. US Pass valid for US events only. 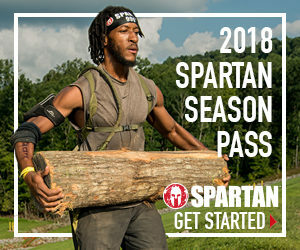 Pass may not be used for registration to certain special events such as (but not limited to): Charity Heats, Spartan Kids Race, Ultra, or Agoge (discount available to pass holders for Ultra and Agoge). Racer must still pay insurance and processing fee per race registration. Pass usage is strictly limited to pass owner. Guaranteed entry to all events (not guaranteed heats), regardless of Sold Out status. Seamless Registration.